East St. Louis, Ill., March 22.- Now the Cleveland Piper family "are eleven." The family is shown posed around the mother and three new sisters, triplets. 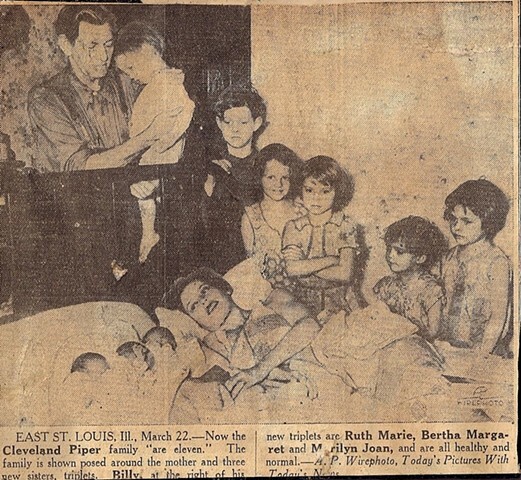 Billy, at the right of his new triplets are Ruth Marie, Bertha Margret and Marilyn Joan and all are healthy and normal.